Whether it’s furnishing for your home or a new addition to your closet, consignment shops will offer you gems that you just won’t find in any old store. They’re the perfect way to personalize your wardrobe and your space. From vintage dresses to antique chairs, give yourself or your home a makeover with the help from these awesome Nebraska consignment shops. This little consignment shop has a quaint storefront outfitted with a can’t-miss red canopy and an antique-looking store sign. Venture inside to browse the items All Things has to offer. Visit the shop’s Facebook page to view new items as well as older items, call and check to see if they still have the item before travelling there. Posh Peacock is housed in a 10,000-square-foot showroom that’s filled with high-quality vintage and classical furniture and home accessories. Maybe you are redoing your home’s decor completely or maybe you’re searching for that one missing piece that will pull the room together. Meander through rows and rows of furniture and knickknacks to find that perfect piece. A women’s consignment boutique, Absolutely Her solves the problem of having a closet full of nothing to wear. Sell some old items, and buy some new ones. The shop has a plus-size section, an All Things Nebraska section, and sections for footwear and athletics. It really is a one-stop shop. The Omt! website offers customers several different ways to shop. There’s a section for new arrivals, a section for wanted consignment items, and also a smartphone application available to download and browse with. Register for the newsletter and receive coupons, store deals, and updates when hot items arrive. Vintage is in the name, and vintage is their game. With updated posts on its website, Lion’s Mane will alert customers for what vintage clothing items they are looking for—whether that be clothes from the 1940s or the 1980s. But clothing isn’t all that’s available, the shop also carries vintage home decor and accessories. According to its website, New Life Thrift has been servicing the Bellevue community for more than 17 years. Dubbing itself one of the Midwest’s largest thrift stores, New Life offers new customers a “free pick.” Be aware though and visit the website, the winter hours have recently been changed. 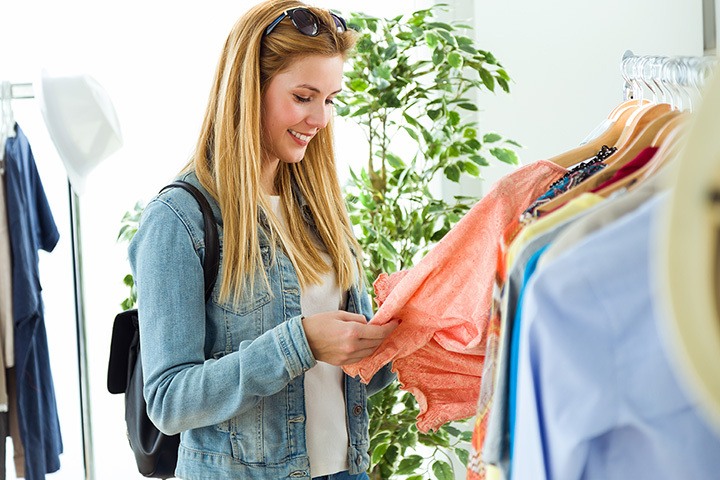 Doesn’t matter what you’re looking for, after visiting Thrift America you’ll surely have everything you ever needed. The store carries all genders and all sizes of clothing and shoes. Dig through the book and movie titles to find old favorites or new possibilities. Each week the store offers color-coded sales, giving the customer some extra bang for their buck. The center offers many services, one of which is a thrift store. The hours for the store are extremely helpful because they are open for 10-plus hours every day except Saturday and Sunday. Saturday is a shorter day, and Sunday it’s closed. When shopping at the Kearney Jubilee Center’s thrift store you won’t be only doing your pocketbook a favor, you will be helping community members who are in need as well. Kids can be a handful, and shopping for them can be even worse. What size is he now, anyhow? Will that ever-growing toddler be the same size in a week? Consign your kids’ old clothes that they’ve grown out of and purchase some new sizes and styles while you’re at it. Search for toys, shoes, and clothes for babies, toddlers, and children. As with some other thrift shops, Yesterday’s Best is fully operated by a volunteer staff. Purchase anything at the shop and the funds are used to support the Assistance League, a philanthropic program in Omaha. Be sure to call or check the website before visiting because the shop continually offers half-price sales and semi-annual sales.